We Deliver safety & experience since 1945. Spring Special $445!!! (must mention special at time of registration) Start today, don't miss out you can still be in the 4:30pm class starting 4/24/19. Classes meet Monday thru Thursday 4 days a week for approx 4 weeks. You must attend class at the latest by Tuesday 4/30/19 to be in the 4:30pm class. Get your permit the 1st week! Call now while seating is available. Don't delay! Our next class is now registering and starts Wednesday 4/24/19 4:30pm. You must attend class at the latest by Tuesday 4/30/19 to be in the 6:30pm class. 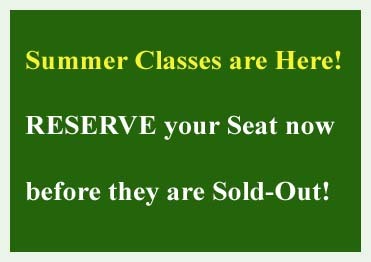 The next weekend class starts Saturday 8/24/19 and finishes 10/19/19 ( Downer Grove location only). You must attend class by Sunday 9/8/19. The class meets 1pm to 3pm Sat & Sun. 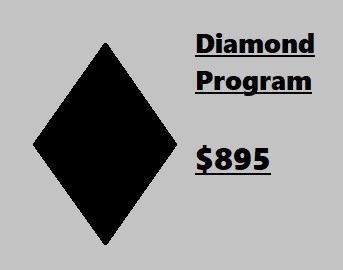 If Drivers ed is needed for graduation, all of our programs meet/exceed the minimum state and high school requirements! For special offers, news, infromation and teen driving advice Likes us on Facebook or Follow us on Instagram. GET YOUR PERMIT ON YOUR 15TH BIRTHDAY!! ASK US HOW TODAY! if you're looking to get your driver's license by age 16 Illinois State Law requires that you must have your permit for at least 9 months prior!! This means if you want to have your license on your 16th birthday, you must get your permit by 15 and 3 months at the latest!! Michaels' Driving School provides both adult and teen drivers education classes in the Suburban Chicago, Illinois area, including Dupage, Kane, McHenry, Cook and Lake County. 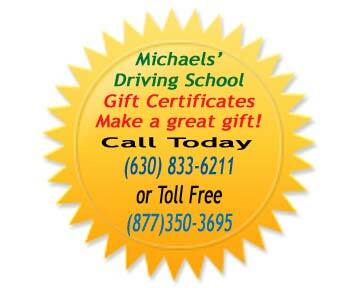 MICHAELS' DRIVING SCHOOL enjoys an enviable record backed by over 70 years of experience in the Driver Education field. The excellent reputation of this driver education institution has proved to be the reason for its steady growth into one of Illinois' largest suburban driving schools. The MICHAEL'S METHOD of driver training is your assurance that you will receive the Best professional instruction available anywhere at any price. We employ full-time, highly trained teachers, dedicated to the teaching of Defensive Driving, not top salesmanship. You will only take the number of lessons you actually need. as seen in. . . . .